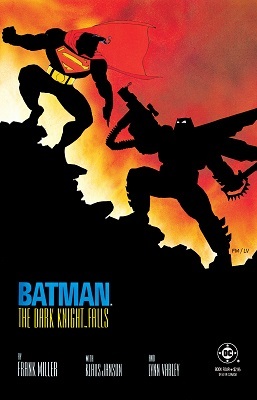 "The Dark Knight series is all from Batman’s point of view. 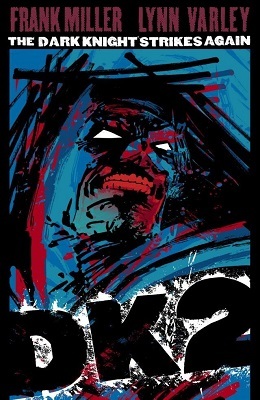 But if you look at Dark Knight 2, you’ll see a Superman who’s much calmer than the one in the first Dark Knight. Batman and Superman are dead opposites. I love Superman. Do I love Batman more? They’re not people. They’re only lines on paper." "My feeling was they’d never be that good of friends anyway. They’d kind of disagree on certain fundamental things. Superman can afford to be as nice about crime as he is, because he can fly, and he can do anything. He can beat up God if he wants to. 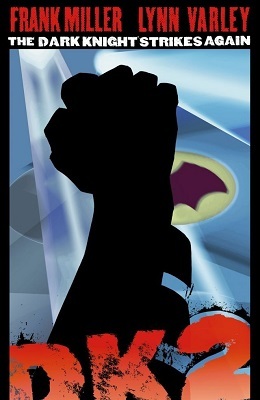 But Batman has trained to fight a much tougher battle, and to me they were natural antagonists. But also, the main reason for doing anything; It made a good story." A.V. CLUB: So you actually consciously set out to change things in the comics industry? FRANK MILLER: Well, I set out to remark upon them. And seeing how all these heroes had been castrated since the 1950s, and just how pointless they seemed to be... In this perfect world of comic books, which was what it was back then, why would people dress up in tights to fight crime? A.V. CLUB: Because there wasn't anything bad enough going on back then to justify that extremism? FRANK MILLER: It was just a bunch of goofy villains. It was 1985 when I started working on this, and I thought, "What kind of world would be scary enough for Batman?" And I looked out my window. "On this project, I have the opportunity to show heroism from different points of view, politically and otherwise. With Ollie Queen I have a left-wing radical. With Bruce Wayne, if anything, he's a bit of an idealistic anarchist. I'm gonna use The Question, and it's gonna be Steve Ditko's Question. No Denny O'Neil/Alan Moore- I'll-use-this-guy's-own-creation-against-him approach here. I want to have Ditko's Ayn Randian point of view as part of my story. Meanwhile, on the Establishment side, I'll have Superman who's in a very compromised position, to say the least. You'll finally understand why he was playing along all that time in the first Dark Knight." COMIC BOOK RESOURCES: How are you going to maintain the balance of exploring your themes and retaining the excitement of Batman, of that superhero archetype? 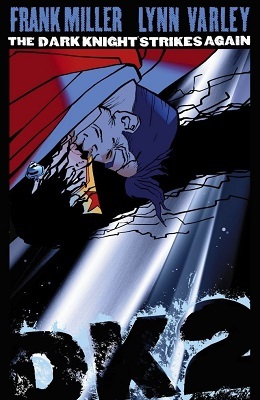 FRANK MILLER: By putting it in context. Think of Robin Hood, which is a deeply political story, but also a wonderfully heroic story. It's a simplistic political story, but it's nonetheless political. So is The Three Musketeers. The reason I need this context to do these heroes is because heroes are silly in a world that does not need them. If the world were the wonderful place that it was portrayed as in the fifties, then who would need a Batman? He'd be a clown! They even deputized him, for Christ's sake. "I'm also exploring the simple notion that superheroes should be heroes. Now we have ugly people fighting uglier people and the guy with the most guns wins. The fundament of a superhero is the guy in tights saving innocent people from bad things. It's amazing how infrequently that seems to happen in superhero comics these days. Allow me a disclaimer: I'm talking about the overall direction I see superhero comics going, not damning each and every title out there. I'm sure there's some good stuff going on that I just haven't seen. But the trend is depressing, and dumb." Two-Face Tuesday! 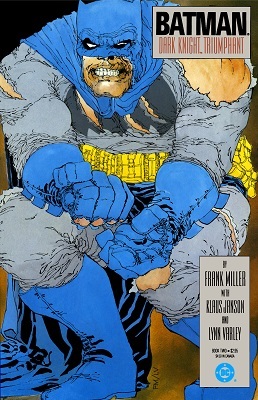 The final tragedy of Harvey Dent in Frank Miller's "The Dark Knight Returns"
When people talk about some of the greatest Batman comics of all time, Frank Miller's The Dark Knight Returns is usually listed as number one. I used to agree, but the older I get, the more I find TDKR to be unbearably ugly. Conversely, I find that Miller and David Mazzucchelli's Batman: Year One gets more powerful and humane with each passing year. I think it's because comics creators learned an awful lot of bad lessons from Miller and Janson's TDKR, and I can't read that book without seeing all the negative influences it's since had on Batman and comics in general. Regardless, TDKR a historic work, filled with scenes and moments that burn into a fan's memory. But in all the retrospectives and articles I've seen about TDKR, I've noticed a distinct lack of mention for the Harvey Dent subplot. Sad thing is, I can understand why. Even for a fan like me, Harvey's story (and what it means to Batman) slips between the cracks when it comes to stuff like the Mutant mud-pit fight, the sounds of the Joker breaking his own neck, and the climatic battle with Superman. I suppose it's because those scenes are visceral, the kind of moments you can sense on several levels, whereas Harvey's story is more of a psychological portrait. Not even that: he's just there to serve as a reflection to Bruce's psychological portrait. 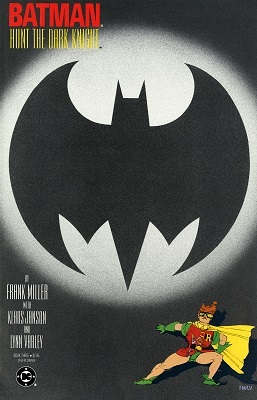 So let's shine the spotlight expressly upon this neglected subplot of a great work, to see what Miller had to say about who Harvey was, what Two-Face is, and just how exactly he relates to Batman. 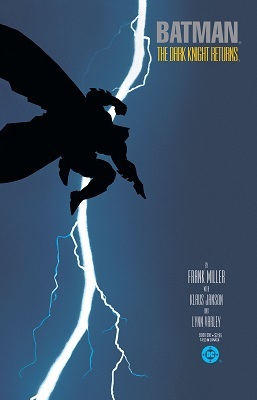 If you're one of the few who's not yet read The Dark Knight Returns, it can be purchased via Amazon.com, but you're also likely to find it at most libraries that carry trade paperbacks and graphic novels. It's one of the standards, after all.